I got my first taste of YouTuber Revolution72's work after listening to a sci-fi version of Sumeria's theme from Civilization VI; it's really worth a listen so imagine my delight when I discovered that not only did Civ VI get a remix, but also Mass Effect, one of my favourite franchises of all time. 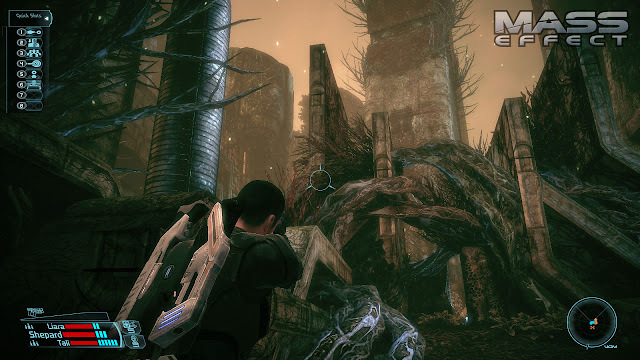 The source track called "Uncharted Worlds" actually exists in one form or another in all three Mass Effect games that make the original trilogy. Consequently, if you're a Mass Effect fan, you'll be instantly familiar with it especially since it plays whenever you're navigating the Normandy around on the galaxy screen. As the music is quite well known, it also happens to be a popular track to remix and I've heard quite a few over the years although Revolution72's is now my favourite; it's more upbeat and busier than the original tune to the point that I'm sure it'd be suitable dance floor music at the Citadel’s favourite nightclub, Flux.